Air conditioning installation in Glasgow, Edinburgh and throughout Scotland with G2AC Ltd.
With our HVAC complete systems, you can both heat and cool your home or work premises with the simple click of a button. To benefit from our versatile 2-way heating and cooling systems across Scotland and Northern England today, give us a call and talk to one of our expert team here at G2AC Ltd. Our air conditioning engineers provide a full repair, maintenance and installation service across Scotland. We provide air conditioning systems for both commercial and domestic. We have the experience and the expertise to install our quality units promptly and efficiently at your home or work place. 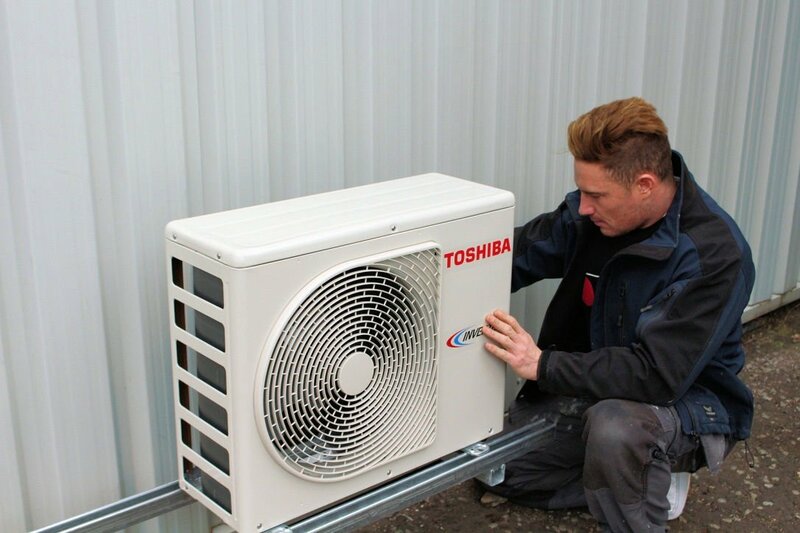 Using our dependable systems, you can be sure you’ll have a cost-effective air conditioning unit, installed by an expert with up to a 7 year guarantee for parts and labour. Our complete services include safe installation, comprehensive maintenance and swift repairs for all of our customers. 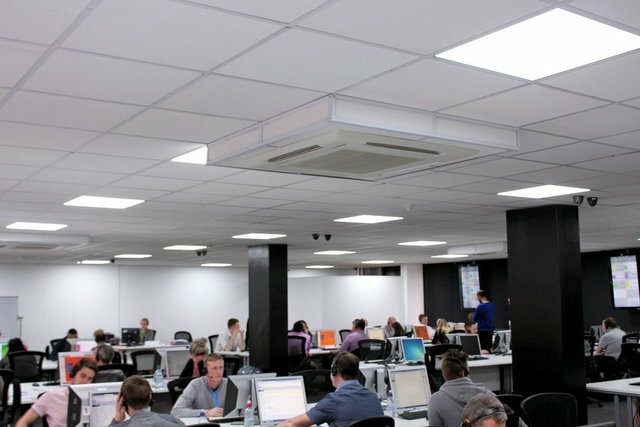 Talk to the experts in Scotland today and we’ll help assess your needs and space to provide you with the best and most effective system for your workplace. If you need a trusted and reliable Air Con installation or repair service then call us today on 0141 564 7100 for a free consultation. We are An Air Conditioning Glasgow based business. 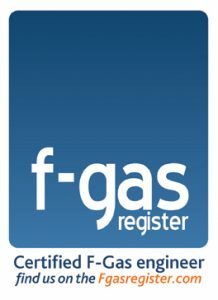 If you are looking for a Scottish air conditioning business, G2AC Ltd provide a top class service at amazing prices. We had a short-term job for the BBC during The Commonwealth Games. Although G2AC was not the cheapest we found, they were able to negotiate the price and made themselves available in the local area. The engineers were punctual, did exactly what they said they would and were easy to talk to. We would definitely recommend G2AC to other project sites. G2AC were recommended to us and would happily endorse their service and customer interaction. Should we have work in the future we would definitely be in touch. There was a small leak from the condenser; we put out a call on Friday and have had no issues since. We had ordered three portable air con units, which were too powerful for our existing ducting. The boys came out with a new unit and worked with our maintenance manager on the day, there were no questions or bother. Very quick and efficient service, which I would highly recommend. Absolutely delighted! Massive difference and we can accommodate a lot more customers. There were a couple of expected leaks but they were resolved very quickly and the engineers worked within their schedule. We would recommend G2AC if other businesses asked because the whole experience has been terrific.